A last-minute penalty from Lionel Messi gave Argentina a 2-1 win over Portugal in Geneva. Paulo Bento saw his unbeaten start to life as Portugal boss come to an end as his side conceded late on in Switzerland. The South Americans took the lead after 14 minutes when a magical run from Messi set-up Real Madrid's Angel Di Maria to convert. 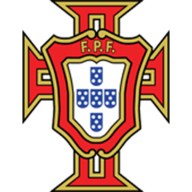 Messi then saw a good chance well saved by Eduardo in the Portugal goal before Portugal managed to level when Cristiano Ronaldo grabbed the equaliser after latching onto Joao Pereira's deflected cross. Portugal then spurned some great chances to take the lead. Hugo Almeida hit the woodwork with a header with Ronaldo firing the rebound wide. Besiktas ace Almeida then produced an embarrassing close-range miss as Argentina began to pile on the pressure. Messi saw a free-kick well saved before Javier Pastore hit the post. 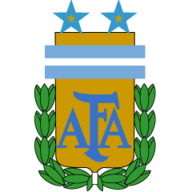 Then Argentina got the winner, as Manuel Martinez was brought down in the box by Fabio Coentrao and Messi made no mistake form 12-yards.